Everyone makes plans to live and eat healthier, particularly as a New Year’s resolution. Tragically, many of us only last a few weeks, sometime even a few hours, before we break our promise that we’ve made to ourselves. 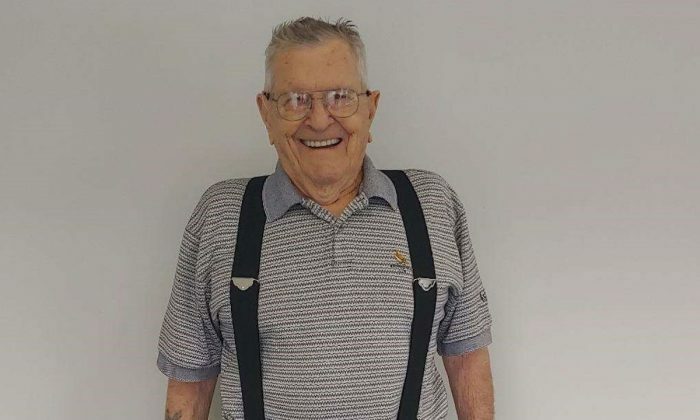 This World War II veteran shows us all that sticking to a plan is possible, even at his age. 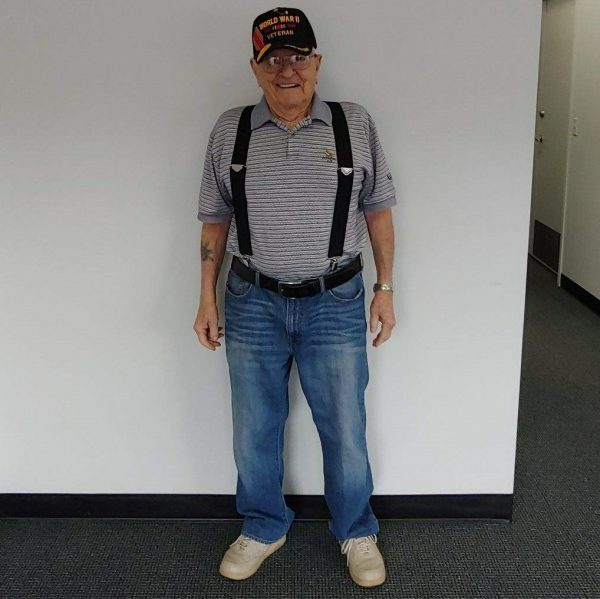 Ellsworth Bell is a 92-year-old World War II veteran residing in Portland, Oregon. Unfortunately, he suffers from Chronic Obstructive Pulmonary Disease, commonly known as COPD. The condition makes it difficult for Bell to breathe, and includes emphysema, asthma, and chronic bronchitis. In February of 2016 he caught pneumonia, which left him dependent of oxygen. Even though he takes medication that helps, his weight was still exacerbating the symptoms of his disease. 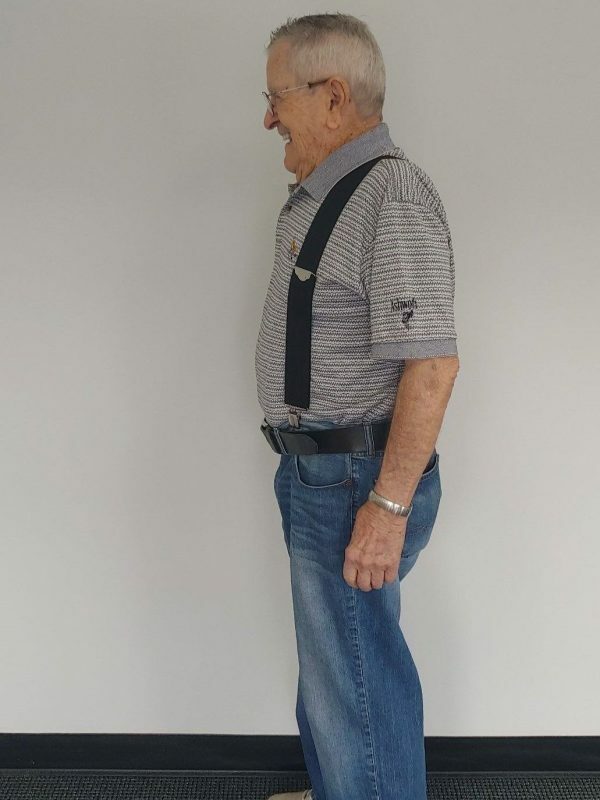 He decided that his stomach, which he referred to as his “basketball belly,” was getting so large that his diaphragm couldn’t function properly, which made it even more difficult to breathe. That’s when Bell decided to start a diet, specifically one from the notorious Jenny Craig program. His goal was to lose 25 pounds, going from 175 pounds to 150. He began his diet in December 2017, shortly before Christmas. Instead of eating three meals a day, Bell began eating six portion controlled meals daily. Bell’s biggest enemy: Sweets. “Because of my thoughts in regards to my health, I was very diligent in following the diet. In other words, I didn’t cheat and go eat some M&Ms or cookies or something on the side because the diet kept those appetites appeased,” Bell told The Epoch Times. Bell thought he was going to be subjected to something akin to wood chips or cardboard because of his diet, but he ended up greatly enjoying his Jenny Craig meals, which helped him stay the course. According to Bell, since the decision to go on a diet was easy, consequently sticking to his plan was too. In fact, Bell was so devoted to improving his health that he did not have any temptations to stray away from his diet whatsoever. Within two weeks of starting he already noticed an improvement in his breathing. “I was mentally prepared for it before I went on the diet. I think that’s the best way to say it,” Bell explained. A couple of years before, Bell had an appointment with his family doctor. He told her he was wondering if he was going to reach his 91st birthday, and didn’t feel like he had much time left. The doctor informed him that he probably had a few more years to go. Now, 25 pounds later, Bell feels like he has another five or 10 years left to enjoy. In fact, he’s slightly lighter than his original 150 pound goal. Since then, he’s been able to engage in hobbies he used to enjoy, such as clamming, which he had been unable to do because of his weight. It’s been 43 weeks since he stopped the diet, and he’s still seven pounds under his target weight. The biggest change he’s made to maintain a healthy weight since is staying away from sweets. Fats in general have gotten a bad rap in our heart-healthy and fat-obsessed diet culture.